Cake frosting is pretty simple, as recipes go—you generally take powdered sugar and blend it with something to make it creamy. Throw in a little flavoring, and you're ready to frost. It gets a lot trickier, though, when you're dealing with food allergies, especially allergies to dairy and soy. That's because in most frosting recipes, the "something to make it creamy" is butter or possibly a soy-based margarine. Frosting recipes also commonly include milk, which of course won't work if you're dealing with a dairy allergy. So does that mean you have to live with unfrosted cake? No! 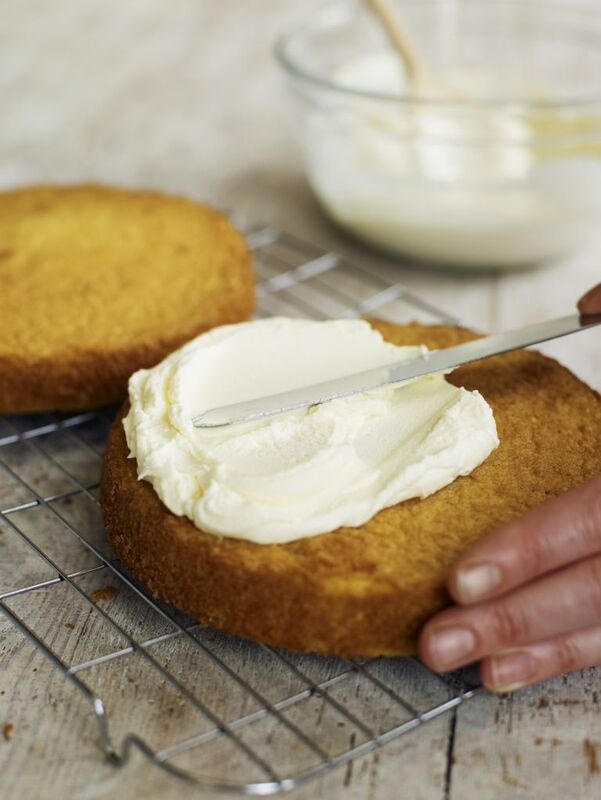 Lucky for us there is an alternative—this basic vanilla frosting recipe is free of both dairy and soy. It suits people with dairy or soy allergies, or people with multiple allergies (since it's also gluten-free). You even can substitute other flavors for the vanilla to vary the taste of the frosting (see note below). Are you also looking for an allergy-friendly cake to frost? Try dairy-free, soy-free, egg-free lemon vanilla cake, dairy-free yellow cake, or dairy free red velvet cupcakes. Using an electric mixer, beat together the margarine, vanilla extract, and 1 cup of the powdered sugar until they are well mixed. Slowly add remaining powdered sugar until all is mixed in. Continue to beat with a mixer and add rice milk a little bit at a time until the frosting is smooth and fluffy. Since this is a basic vanilla frosting, it will pair well with all kinds of cakes and cupcakes, including chocolate, vanilla, lemon, coconut, and even red velvet. Jazz up this allergy-friendly recipe by adding in some mashed fresh strawberries, or using maple extract or peppermint extract or crushed allergy-safe peppermint candies for the vanilla. To stay safe with a soy allergy, you need to stick with either Earth Balance Soy-Free Buttery Sticks (made from a combination of palm fruit, canola, and olive oils), or Earth Balance Soy-Free Buttery Spread (made from a combination of palm fruit, canola, safflower, flax, and olive oils). Other Earth Balance margarine products contain soy, and so won't be safe on a soy-free diet.